Walk ups welcome! Please stop by and register by 6:30!! See everyone soon! We have secured a NEW date for the event. Saturday April 13th, 2019. Doors will once again open at 6:30 pm, and we will dance from 7-9 pm. 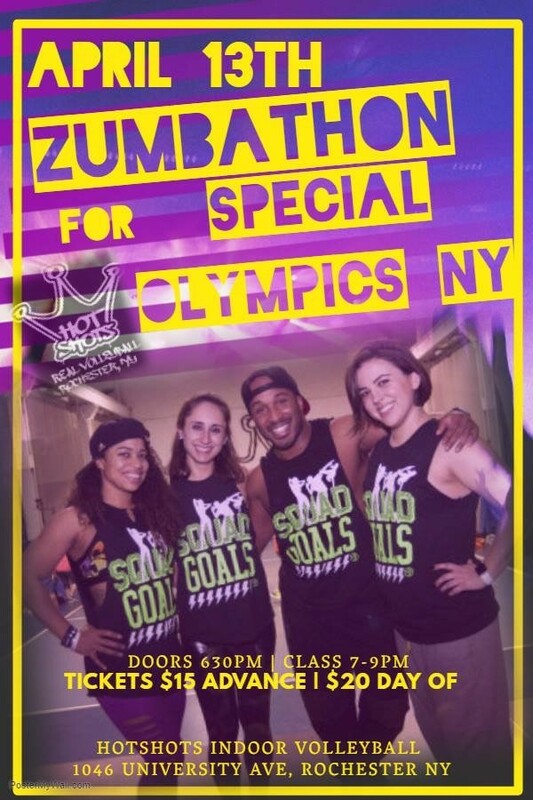 We’re getting ready for the annual Zumbathon to benefit Special Olympics New York at Hotshots! It’s time to get your neon Zumba gear and get your wiggle on! ZJ Kendra will be running the show with her crew! That’s right! We are dancing the night away to not only get your happy feet going, but your sweat on! Online registration saves ya $5 from at the door! Walk ins are always welcome! Enjoys the beatz!! All money raised is donated to Special Olympics NY!